As a self-confessed reader of all things self-help, hearing a podcast which mentioned the titular book, Fat is a Feminist Issue, struck me as a necessity for my bedside table and peace of mind. Growing up, my mum’s bookshelf was littered with weight loss guides, the Trinny and Susannah classic ‘What Not to Wear’, and recipe books which usually contained little more than a child’s portion of lean chicken and 15 different varieties of seasonal vegetables to achieve that notorious image of the ‘perfect’ summer body. Toxic, oppressive diet culture and the pressure to look a certain way shaped much of my childhood subconsciously, and encouraged quite unhealthy eating habits and a negative body image. For me, self help books and health guides were synonymously exclusive with needing to reject your current body, or force it through a traumatic starvation in order to be fully ‘cleansed’ and ready to begin your new life. A handbook created to inspire and encourage positive habits had an innate value judgement which placed thinness and attractiveness at the top of the hierarchy, leaving anyone who did not feel able to ‘achieve’ the standard required £10.99 out of pocket, and back at square one. The idea of changing your body to change your life is present in almost every teen rom-com featuring a girl with braces and frizzy hair. 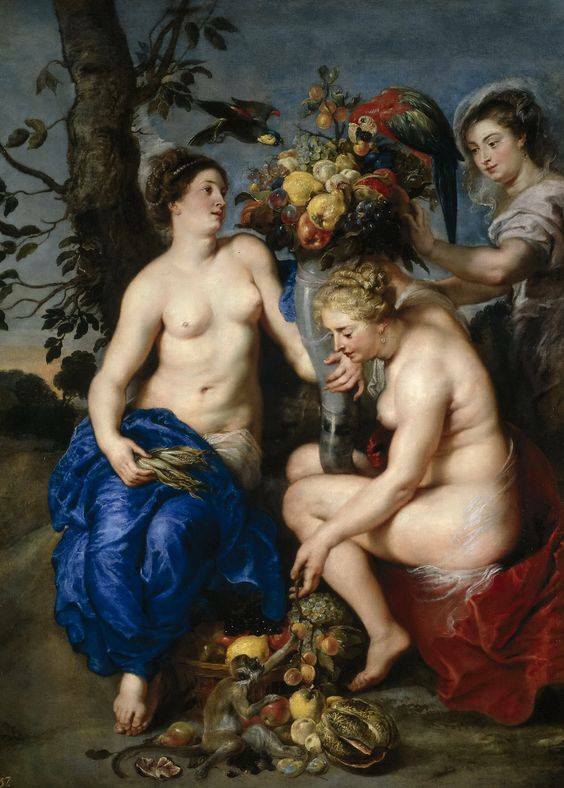 Art has challenged these ideologies, and it only takes one look at classical art to see that bodies have come in all shapes and sizes for as long as can be recorded. Why then, are there so many pressures to conform to a type of beauty that is so inaccessible to so many? While I am sure that not all self help or weight loss books were as ideologically overpowering as I felt the ones I witnessed to be, it is uncommon to see a book about weight be one which encourages you that actually, weight is not the be all and end all of confidence. Enter, Fat is a Feminist Issue. Written by Susie Orbach in 1978, the book acts as an anti-diet manual, delving into the reasons behind why women struggle so much with food, rather than just blanket blaming their unhealthy habits as a symptom of their own weak will. Rather than focusing on how to rid yourself of cellulite, the book proposes that diet culture is representative of institutionalised patriarchal values, and that women’s’ relationships with their bodies – whether thin or fat – is deeply intertwined with their own worldview. The book says that binge-eating, obsessive dieting and hating yourself have become so common that it is not even seen as damaging behaviour anymore. Eating is punishment and reward, with a much deeper relationship to us than we have previously recognised. Orbach manages to simultaneously inspire and reassure the reader – I read this book near New Year, and immediately felt more in control of my own body and my relationship with the world around me, so that rather than blaming myself for overeating,I treated myself with compassion. Rather than taking food as an isolated object, she connects it to everything. This book was simultaneously revolutionary and comforting, raising questions of how the diet culture can be challenged and whether the damage has already been done. In an age of relentless advertising, Instagram models and over thirty thousand YouTube videos on how to contour a double chin, an alternative to dieting and ‘hating yourself thin’ is needed. Orbach may have released her solution nearly forty years ago, but it holds its own as a reminder of the toxicity that diet culture perpetuates. Similar books have emerged since, as well as blogs and social media movements, but even in their unshrinking body positivity, the majority of for sale products are marketed as anti-dieting to make you lose weight, rather than just rejecting the values that dieting portrays. Social media movements are undeniably powerful, but also tragically fleeting. Until alternative books become accessible, invading the popular weight loss genre, I cannot imagine an inclusive solution to this problem. For now, at least we have Fat is a Feminist Issue.